Cleanup: Ohio Street at the CSX crossing was closed for a time early Friday afternoon for a cleanup. 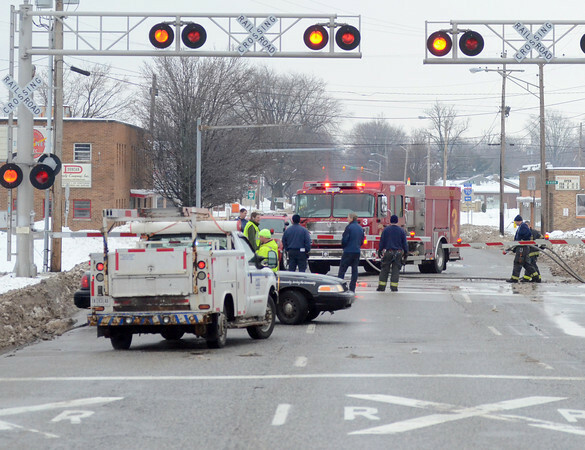 Terre Haute city firefighters used water pressure to clean salt, sand and ice from the tracks. Salt interferes with the frequency used by the crossing to relay information to a nearby control box.